KORPIKLAANI – support “Music improves brain health” campaign of Kanta-Häme’s Alzheimer Association! 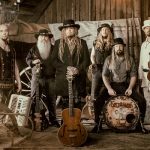 Finnish Folk Metal Superstars KORPIKLAANI recently finished their successful European run (several shows were sold out!) with HEIDEVOLK, ARKONA and TROLLFEST. Today the band brings yet more great news announcing that they will be an official supporter of the “Music improves brain health” campaign of Kanta-Häme‘s Alzheimer Association now. 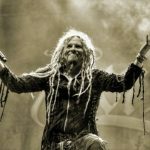 Updates on KORPIKLAANI‘s upcoming 10th studio album and more touring acitivities to be revealed soon…!